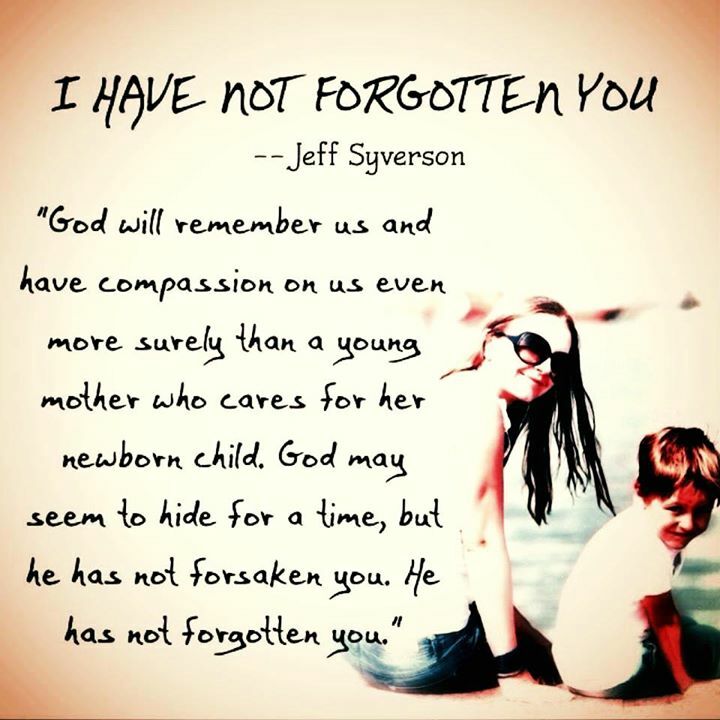 Have you ever wondered if God had forgotten about you? Sometimes our prayers seem to go on unanswered for so long that we think he has forgotten us. Sometimes the circumstances of our lives are difficult and painful and we wonder how God could ever allow us to go through such a thing. There are times that we wonder. There are times we may even say it: “The LORD has forsaken me; my Lord has forgotten me.” It may be a statement that is true to our feelings, but it is never really true. God never forgets his people. He never forsakes us.